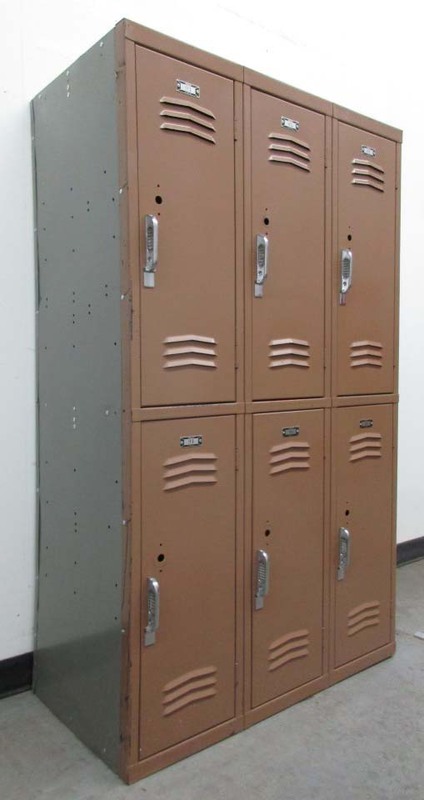 These Lyon Double Stacked School Lockers are available on www.buyusedlockers.com where they have a huge selection to choose from if we need additional supplies. These used double stacked school lockers are on the older side but are 100% functional and have many years of life left in them. When you don't have the budget for new lockers, consider these.They are not as pretty as new lockers, but they will work just as well. Double tier lockers are commonly used in schools by students and staff and businesses by employees and patrons. They can also be used at home. These used lockers ship fully assembled saving you additional time and money.